If, in the middle of a conversation, I put my index finger to my lips you would instinctively lower your voice. If I held my hand out flat towards your face whilst you were talking you would stop mid-flow. These social gestures are powerful forms of human communication. They are efficient communication short-cuts. One of the most universally useful social gestures is pinching the thumb and forefinger together as if holding a pen followed by a short wave in the air as if writing. Used in restaurants around the world it invariably results in receiving the bill even if your previous attempts at the local language resulted in you getting the wrong dish which you ate whilst wishing you had swallowed your pride rather than what ultimately arrived and pointed clumsily at the menu when ordering. Human social gestures are shaped by culture, history, collective memory and there are are a growing amount of equivalent online social gestures. Online Social Gestures are specific and granular interactions supported by social tools. In a single gesture or click it is possible to ‘like’ a document ‘rate’ it’s value or ‘share’ it’s content. Online Gestures in social tools are powerful for two reasons. Firstly, they simplify interactions. 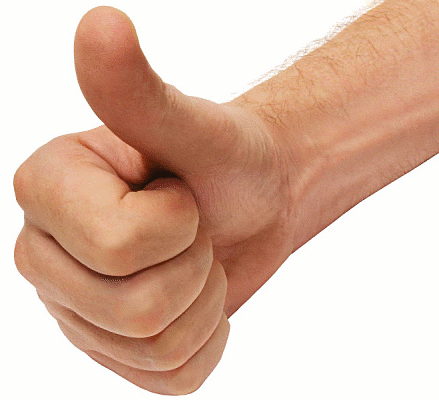 Let’s take another universal human gesture, lifting a single thumb in the air to signify our approval. A single click on a thumbs up icon communicates the same message as adding the comment ‘I like this’ but it’s easier. It’s a single click rather than two clicks and nine key strokes. The difference in ease of use is marginal but it removes a barrier, albeit a low one, to participating in the social discourse. The second reason though is more significant. In adding a ‘like’ button we have identified a common interaction within the universe of interactions that we can isolate, capture, analyse and make further use of. For example, we can capture and count how individuals rate a document. The availability of that document in searches and lists can be influenced by the rating. The more readers positively rate a document, the more others will become aware of it and the wider and audience for good content as decided by the ‘crowd’. Resolve. Explore the possible solutions to the issue now identified as a result of the investigation that has taken place. Action. Execute the solution identified in the resolution discourse. So online social gestures, as they relate to decision making are the starting point form which we can begin to understand the decisions in our organisations, how they came about and what they tell us about improving future decisions.